Encourages the establishment and conduct of AAPHD Student Chapters in Dental and Dental Hygiene Schools to nurture the dental public health workforce pipeline. The Helen Doherty Student Chapter is designed to expand the dental public health workforce pipeline through AAPHD Student Chapters at dental and dental hygiene schools. 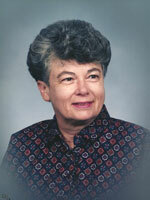 Helen K. Doherty served as the Administrative Secretary of the American Association of Public Health Dentistry for 13 years from 1984-1997. She established the first national office for the Association as she assumed all of the management responsibilities for the business aspects of the Associations operations. In 1984 she was awarded the Association's Special Merit Award, in 1997 the Distinguish Service Award for her outstanding work for the Association, and in 2000 she was elected an honorary member of the Association.